Many fictional crime stories I have read tend to paint the police as competent, up against a suspect who is clever at the outset but is finally caught and brought to justice. The reasons for the time delay between the commission of the crime and apprehension allows for the fictional story to be spread across hundreds of pages and introduce many characters and pieces of information to aid the reader in their decision-making as to who did it. In real life, the time between the commission of the offence and apprehension usually occurs through the vast amount of information that has to be gathered and sifted before a suspect is identified, unless the suspect is know from the outset but this would make for a relatively short work of fiction. 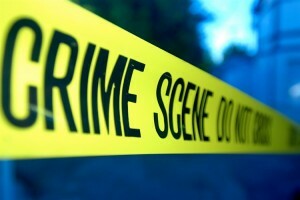 However, there are times in real life when the delay in catching the suspect is created by the incompetence (in a very few cases) of the police or the cleverness of the suspect to manipulate the crime scene to such an extent that they manage to hide or disguise many of the clues that should have been found fairly quickly. Take for instance a recently reported upon crime involving the death of an elderly lady, Una Crown in her own home in Wisbech, Cambridgshire. In a nut-shell, the first attending officers decided from what they could gather from the crime scene, that the victim had died accidently. They concluded that she had fallen onto her cooker and in a panic suffered a heart attack and died. This assumption, with hindsight, was a bit too quick to come to but when faced with a body that is either very badly burned (as in this case) or decomposed, it can be difficult to see conflicting evidence on the body such as stab wounds or bruising. Even if they have been seen, the officers may think that they have been self-inflicted, especially when they have been presented with information suggesting suicidal tendencies on the part of the victim (not in the case of Una Crown). This is why there will be a post-mortem in all instances where the death is unexpected and/or of a violent nature. In the case in question, not only was the body badly burned (i.e. violent in nature) but it was also unexpected in that she wasn’t being treated for an imminently terminal illness. It was at the post-mortem that stab wounds were found to the victim’s neck and chest, leading to the death being considered particularly suspicious. Had this been spotted from the outset, the scene should have been treated as a crime/murder scene. A lot of evidence would have been gathered from the house and a great deal of information would have been uncovered about the victim and in all probability, the suspect. As it was, the officers who first attended the house saw nothing they thought suspicious and so didn’t treat the scene accordingly. The officers that attended the scene first were inexperienced, new to the job and failed to recognise the gravity of what they were confronted with. The officers may have been more experienced but generally incompetent, especially when it came to crime investigation. The officers could have been under the influence of alcohol or drugs. The officers could have become blasé because they had attended several natural sudden deaths recently and saw this as just another. They may have attended a sudden death in the past, called out the Senior Investigating Officer (SIO) only to be rebuked and ridiculed by the SIO for not seeing the obvious signs of a natural death or a clear case of suicide. To give the suspect more credibility, it could have been a deliberate act by them to stage the crime scene: to make it look like one incident rather than what it actually was. It’s not unusual for a husband to make his killing of his wife look like a bungled burglary by smashing a window to the property before giving it a ransacked appearance. Their intention being to make the police think that the wife had disturbed the burglar in the act and had been killed by that burglar so as to prevent their subsequent identification. It has been known for suspects to stage a murder to look like a suicide or an accident, similar to this case. An elderly person could be expected to have a heart attack late in life or even a fall due to being unsteady on their feet. They may just be unfortunate enough to fall onto their gas or electric fire and the burn injuries may well cover up strangulation or heavy blows to the head or body. Would you rather go for the incompetent cop or the clever murderer in your stories?